Louisiana’s new medical marijuana program is moving ahead after two public universities opted to grow MMJ as the state’s only cultivators. One university has even talked with law enforcement about about how to avoid breaking the law because of a legal loophole, a sign Louisiana’s MMJ program is on its way to becoming viable. Louisiana is the first state in the South to pursue a comprehensive medical marijuana program. This also marks the first time a pair of state institutions – Louisiana State University (LSU) and Southern University – are poised to supply all the MMJ for a state’s dispensaries, which in Louisiana’s case is a maximum of 10. Under Louisiana’s MMJ program, which was signed into law in May by Gov. John Bel Edwards, LSU and Southern got the first crack at medical cannabis cultivation. It remains to be seen whether that approach will prove viable – and whether private companies will land an advisory role. Southern has at least been sitting down with Colorado marijuana industry executives to learn the ins and outs of cannabis cultivation. 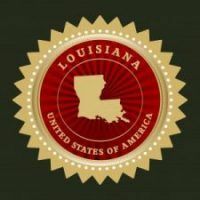 Critics, meanwhile, cite a key problem of Louisiana’s program: It fails to provide criminal immunity for those on the production and distribution side. It shields only patients and caregivers. That means that if law enforcement officials decide to be a stickler on technicalities, a grower or dispensary employee could be arrested and charged with illegal distribution of a controlled substance. That’s a problem state lawmakers have pledged to fix during the next legislative session. But, for now, LSU and Southern are pressing ahead with MMJ cultivation – regardless of the loophole. Moreover, LSU officials have been in contact with law enforcement, a university official told Marijuana Business Daily. “We have met with various law enforcement agencies and will continue to involve law enforcement and others in our process to ensure that we are working within the framework established by the legislature,” Hampton Grunewald, director of government relations for LSU’s AgCenter, wrote in an email. Southern interim chancellor for the university’s agricultural research and extension center, Dr. Adell Brown, said his school hasn’t been in touch with law enforcement officials about the policy gap. But he’s serious enough about moving ahead that less than a week after the cultivation announcement was made he was on a fact-finding trip to Denver, meeting with growers and dispensary owners to learn the nuances of the trade. Dr. Brown spent several days in Denver during the first week of July and said he met with “several large companies,” learning about the business. If it does prove viable, the system could be up and running by late 2017 or early 2018. “Everything is poised to make it work,” Dr. Brown added. Not everyone is so confident, however. David Brown, president of Sensible Marijuana Policy for Louisiana – and no relation to Dr. Brown – said it was “encouraging” that LSU and Southern opted to grow medical cannabis. But he added “the jury is still out” on whether the program will prove workable as currently structured. Brown said he’d be surprised if the two universities would be willing to possibly jeopardize federal funding to grow cannabis. And he noted the two schools were basically under a Sept. 1 deadline to opt in or out – and simply said yes but could change their minds down the road if they decide the marijuana business isn’t for them. Like LSU, Dr. Brown signaled there may be a way for Southern to work around the new law’s legal pitfalls. He said Southern’s attorneys are researching how it could be a part of MMJ cultivation while not having any university employees directly engaged in growing cannabis. He suggested it could be arranged through a nonprofit foundation or other third party entity. “There are options, and we’re exploring what those options are,” Dr. Brown said. If the two schools indeed proceed with cultivation, the next step is for the state to write the rules. Dr. Brown said Southern will being watching closely. There will likely be further tweaks to the law during the next legislative session, MMJ advocates expect. In the meantime, Louisiana’s experiment remains a work in progress. This is a BS law for the citizens of Louisiana. They will not get to participate in the commerce that will be generated off the Louisiana public-at-large. Shame on you Louisiana legislature.